Twin Path Round Slings – FERRETERRO INDIA PVT. LTD.
FERRETERRO Twin slings are available in Polyester/HMPE fibers made by DSM Dyneema® BV. Twin slings are actually two complete and separate slings in one. Each path makes its own separate connection between the hook and the load and account for 50% of the total slings work load. The design we manufacture is non patented and is cost effective than other sling makers. The twin sling design provides the sling user with an early warning and inspection system. Also available in double core for extra abrasion resistance and long life. The load carrying yarn never comes in contact with the load. When the protection outer cover is damaged, the inner cover provides extra protective sleeve for usage. 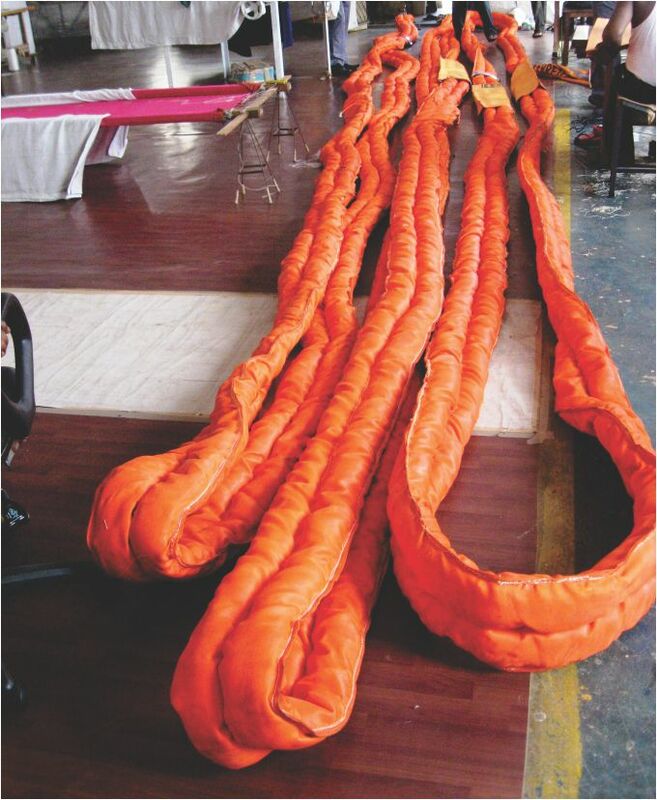 We provide all our round slings, and TWIN slings with Elongation string to know whether the sling has elongated. When the string disappears sling should be discarded. Fiber optic inspection cables assist the sling user and inspector to evaluate the condition of the load carrying yarns. The condition of internal load carrying yarn can be inspected by checking the conductivity of the fiber optic cable. If the load carrying yarn have suffered chemical, heat or crushing damage, the fiber optic will lose its ability to transmit light from one end to the other, giving the inspector a reason to remove the sling from service and return it for repair evaluation.